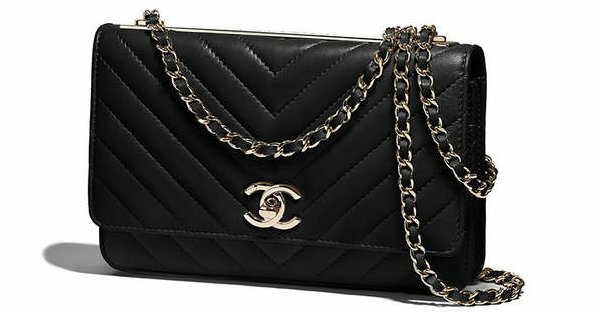 The Chanel Chevron Trendy CC WOC is not a new style; we’ve already talked about it extensively two years ago. 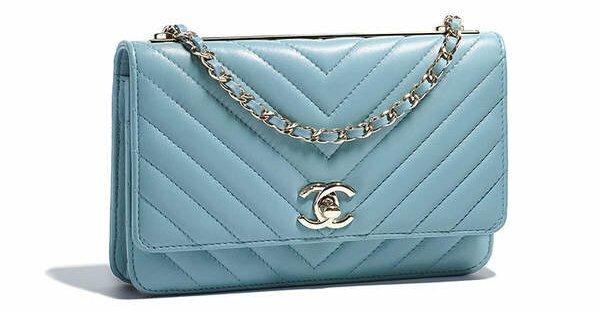 In fact, this handbag was first-released in 2016, but only in diamond quilted version. Now for the Spring Summer 2018 Collection Act 1, the French Fashion house has created the Chevron edition of this handbag. So which one do you like more? The diamond or chevron quilted? 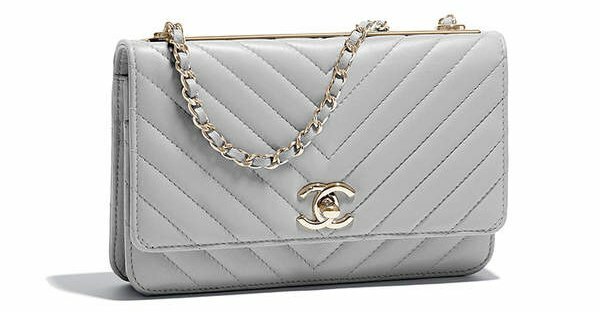 The Trendy CC Bag is now one of the most desired Chanel bag in the fashion world. 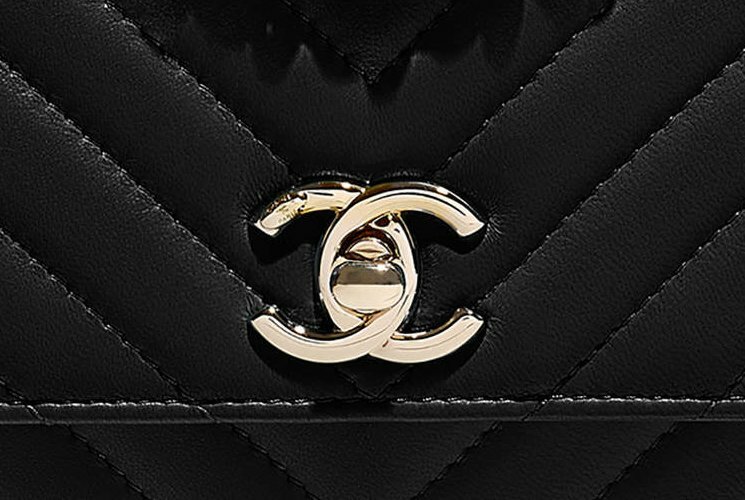 It has deserved the iconic reputation because of its stunning and shiny logo golden plate. This golden plate has also been embellished on the latest Chevron CC Wallet On chain – it’s crafted on the top. The golden plate is special, because it makes the bag look modern yet classy. And the CHANEL logo has been sliced on this plate – no eyes can escape this, guaranteed! The Chevron Quilting is as beautiful as the Diamond Quilting, but it feels more sophisticated. 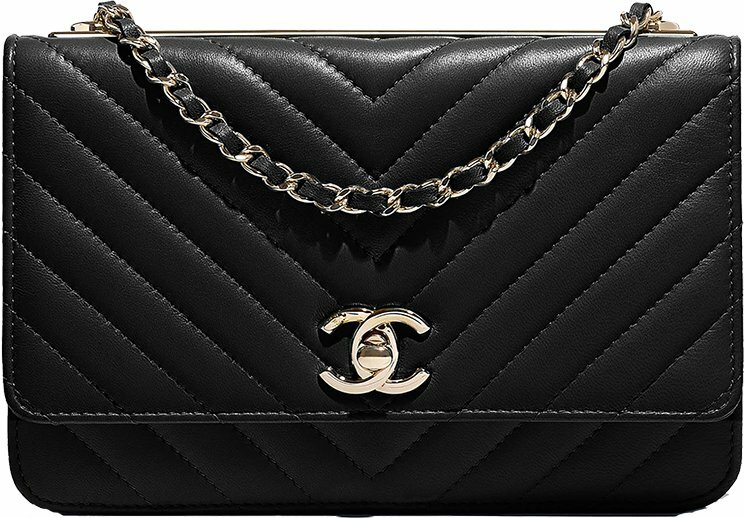 The center is crafted with the CC logo in smooth hardware, just like the one on the Classic Flap Bag. 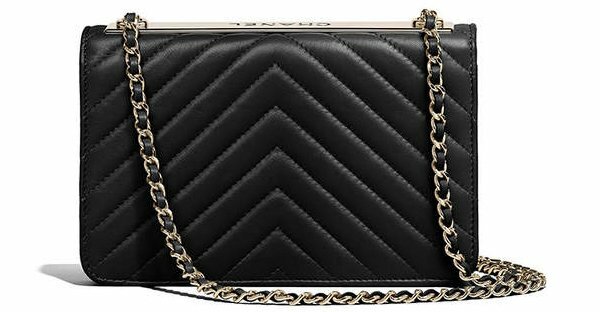 It also features the woven chain leather strap for either shoulder carry or cross body carry. 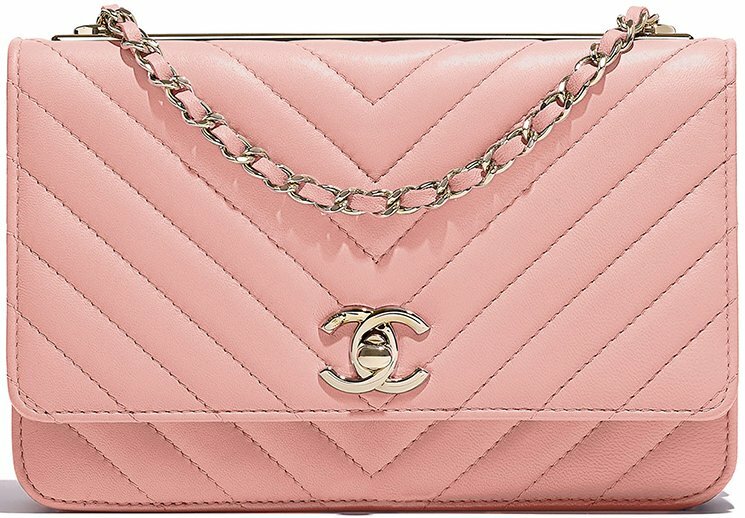 Overall, this WOC feels bolder and trendier than the Classic Quilted WOC. But then again, maybe this is the reason why it’s called the Trendy CC. 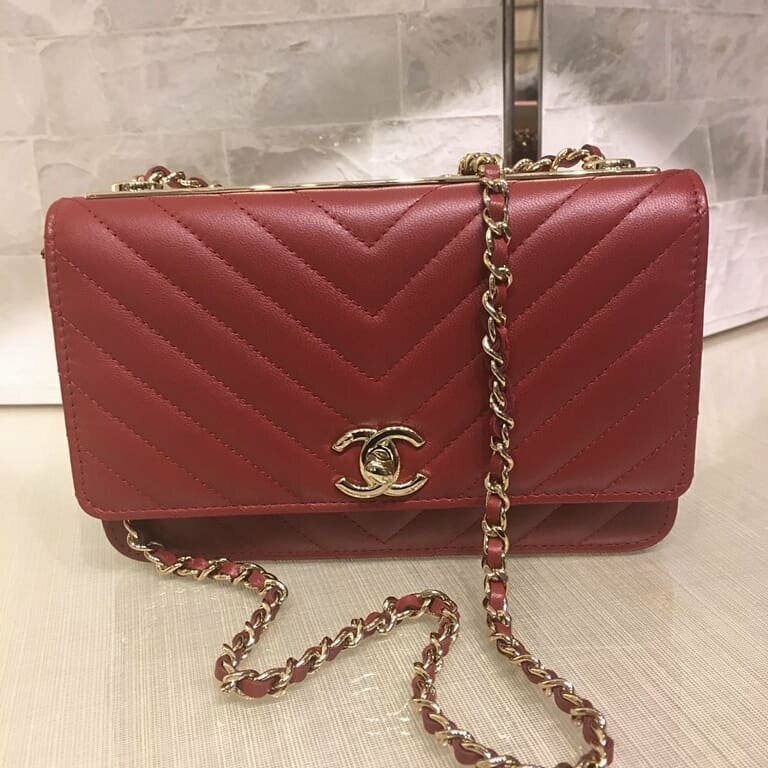 The size and the structure of this Trendy CC WOC is the same as any WOC. The interior features several different compartments including multiple card slots. 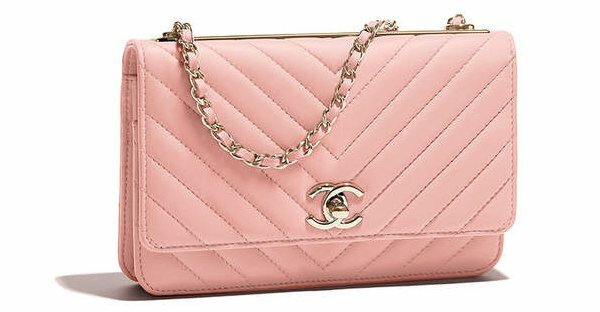 It’s a small evening bag, but it can hold all your daily essentials. 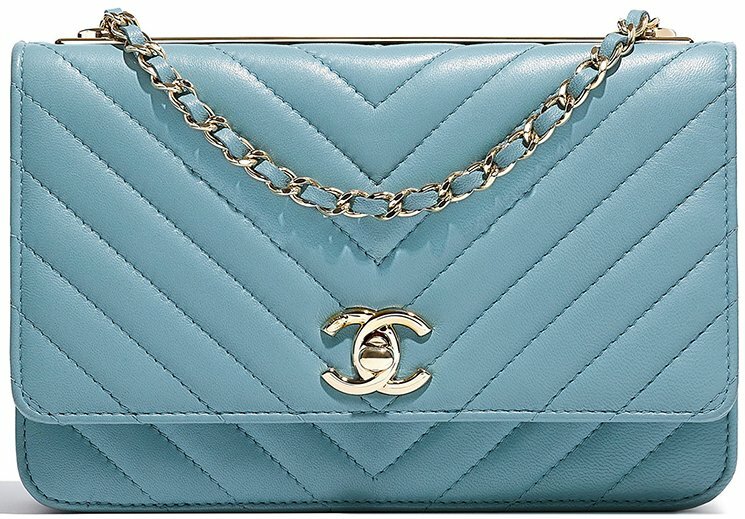 If you want to take a glance of the inside, then go to: Chanel Trendy CC WOC. Style code A80982, measuring 4.8’ x 7.6’ x 1.4’ inches, priced at $2700 USD, $3525 CAD, €2515 EUR, £2280 GBP, $4230 SGD, $22100 HKD, $3960 AUD, ¥347760 JPY, 13180 MYR via Chanel boutiques.